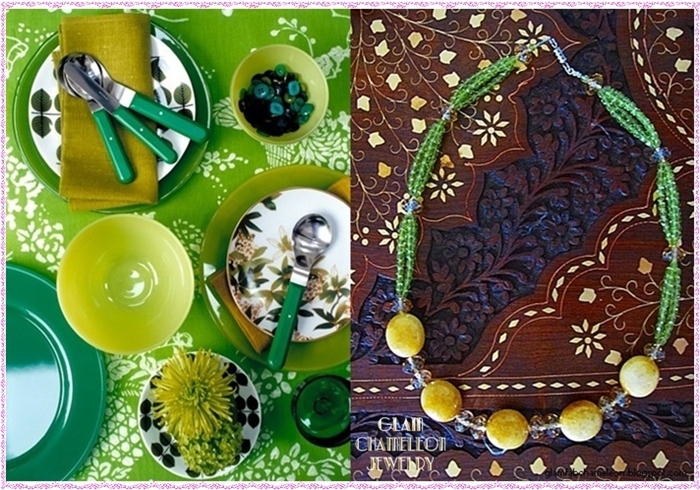 Chartreuse is a color exactly halfway between green and yellow, mostly considered to be pale apple-green shade. It got its name from very famous French liqueurs (18 and 19th century) called green and yellow chartreuse. Combination with pink color (pale and stronger shades as well) gives very fresh, clean, romantic and lively touch to everything- from clothes, over accessories until decorating and interior design moments. Love that green :) Just livens everything up! I love the second and the last picture!!! green is such a happy colour!!! Thanks for sharing and stopping by my blog!! Love this color scheme. So pretty!!! Great inspiration babes! It's such a perfect summer color! I love how it looks paired with pink! Oh, that green dress in the last photo NEEDS to be in my closet pronto!! Yes i do love this color and your necklaces! 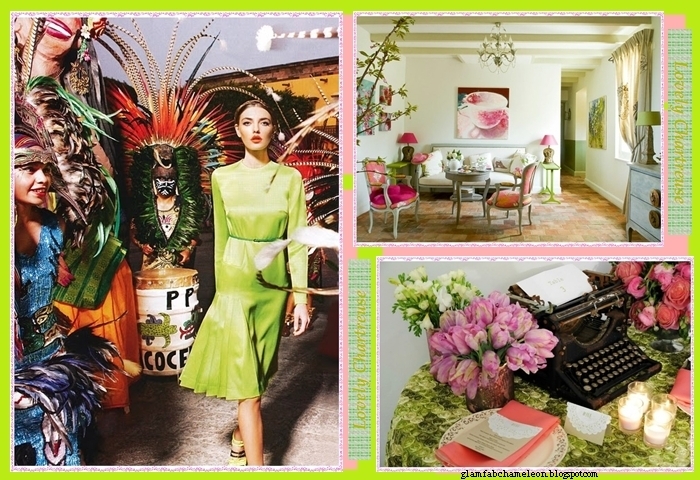 I adore your chartreuse inspirations. 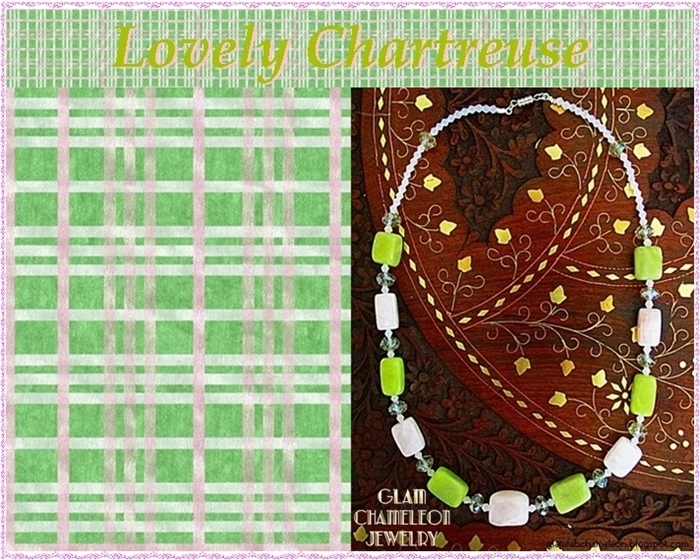 Chartreuse is a "lovely" color! 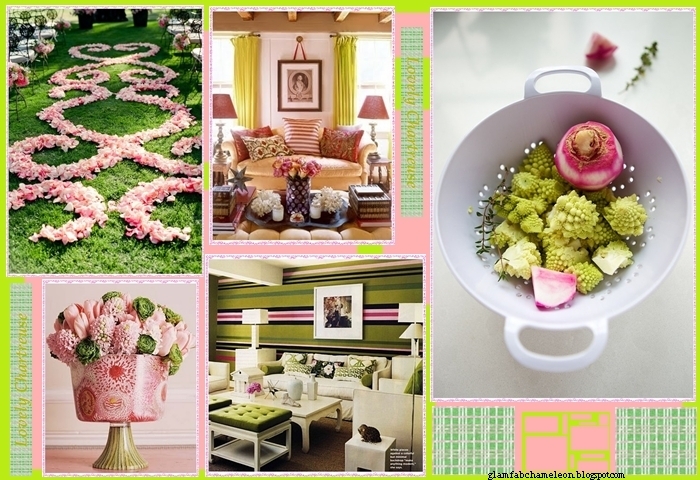 Adorable color and inspiration!! I love your necklaces!! Love the simplicity of it. i love all of the great green colors in these!